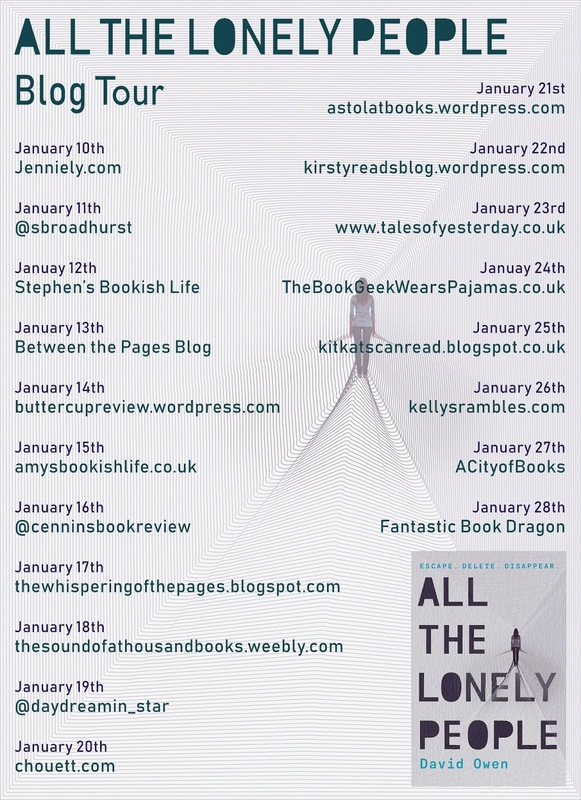 Thank you to the publisher for sending me this book in exchange for an honest review and for allowing me to take part in this blog tour. - Well, without the internet I would have never made this book blog and met some amazing friends from within the book community. I also wouldn't have as much contact with my family in Portugal and Holland without Social Media. The only problem I have with the internet is that I tend to compare my life to others via Social Media and this does cause me to get envious and for my anxiety to sometimes run high. Kat loves being online but is often told that her personality online doesn't resemble her true self. Kat disagrees. Being online is the only way she can chat with likeminded people, make someone laugh and cope with a bad day. When Kat becomes the victim of an online trolling campaign she has no choice but to disappear from the online world. As soon as Kat disappears online her physical self starts to fade and people soon start to forget she exists. All The Lonely People really dives into how toxic the internet and in particular social media can be. It touches upon trolling, hate groups, cyber bullying and the anxiety it can cause someone. I had never read a book about the dark side of the internet before so this was going to be something new for me to dive into. As soon as I started reading this book I knew I was in for the long-haul. I was instantly pulled in by the themes and the way they were portrayed. Two themes that particularly interested me within All The Lonely People were toxic masculinity and feminism. With regards to toxic masculinity we see teenage boys wanting to be seen as the tough guy and bowing down to peer pressure and we also see men struggling to show their emotions. 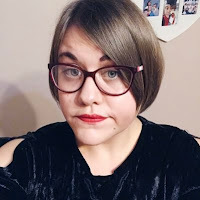 With feminism we see the above stated teenage boys being peer pressured by a YouTuber to join an anti-feminist movement. We also see Kat, our protagonist, looking up to a feminist YouTuber and wanting to go to a women's march. These two topics are certainly integrated from the modern day and both were tackled extremely well throughout the story. The idea of fading brought an element of magic-realism into the story and it was a concept that really did fascinate me. 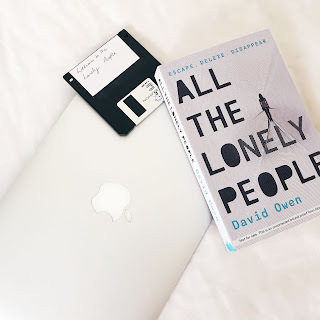 Kat has no connections to anyone in the real world, so once her online identity is deleted she starts to fade. This state of fading shows us how fake some online relationships can be and how much someone can become reliant on them. You could also say that the fade is a way of wanting to get out of life without going down the suicide route, which is rather depressing to think about. Kat's character development throughout the plot is nicely portrayed and we get to learn a lot about her as the story develops. I liked how she was determined to find herself and help those she cared about despite going through the fade. Her friendship with fellow lonely person Safa was one thing I didn't really root for. At times I felt like Safa was being very controlling and trying to force Kat to think like her and not for herself. Wesley's development was in my opinion the best in the book. I love seeing characters realise the error there ways and seek redemption and this is exactly what Wesley did. His relationship with Kat was one of remorse but I also think she helped with his redemption arc. 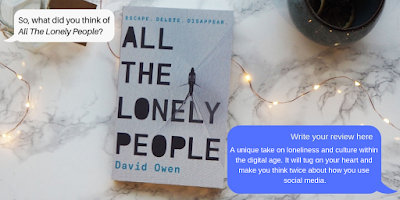 All The Lonely People ultimately is a brutally real, heart wrenching tale all about the dangerous side to social media and how you can feel lonely even when online. It's honestly unlike any other book I have read before that are based on the same themes. I like the premise of this book, it sounds very intriguing! I really need to pick it up, great review!